DOWNEND’S very own carvery pub is serving its last roast at the end of September as it closes its doors for a month before re-opening as a Pizza kitchen and Ice cream bar. 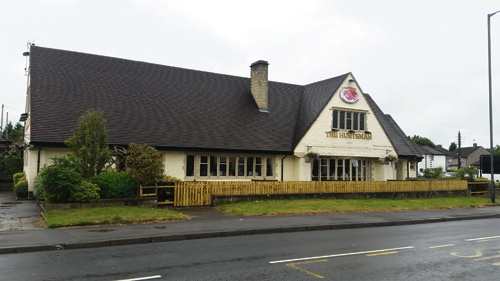 The popular Huntsman Taverner, on Westerleigh Road, is closing down on Sunday September 25 as it begins a makeover. It will reopen as the Huntsman Generous George on Monday October 24. Despite some bad reviews online, the pub has always been very popular and the management are hoping when they reopen it will be “bigger and bolder than before”. Karl Bryant, who has been the manager for almost a year, said: “It’s a really exciting time for us and I really believe in the concept of Generous George. “We are having the same type of charity giving as Asda at Longwell Green where for every meal a customer purchases, we will give them a token which they can then choose to put in a pot for a charity. “We will choose three different local charities every few months from recommendations from our customers and for every main meal purchased 1p will then go to the charity that has the tokens in.